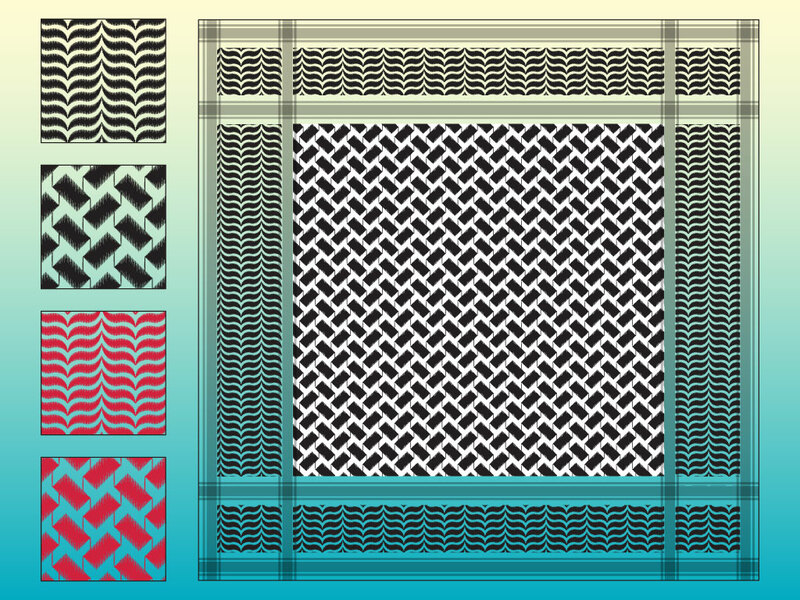 Download these Arabic scarf motifs by Illustrator Factory. Perfect for your Arab art, clothes, Islamic headdress, headcloth or islam design themes. Tags: Arab, Bedouin, Blanket, Egypt, Emirate, Handicraft, Hijab, Kaffiya, Muslim.